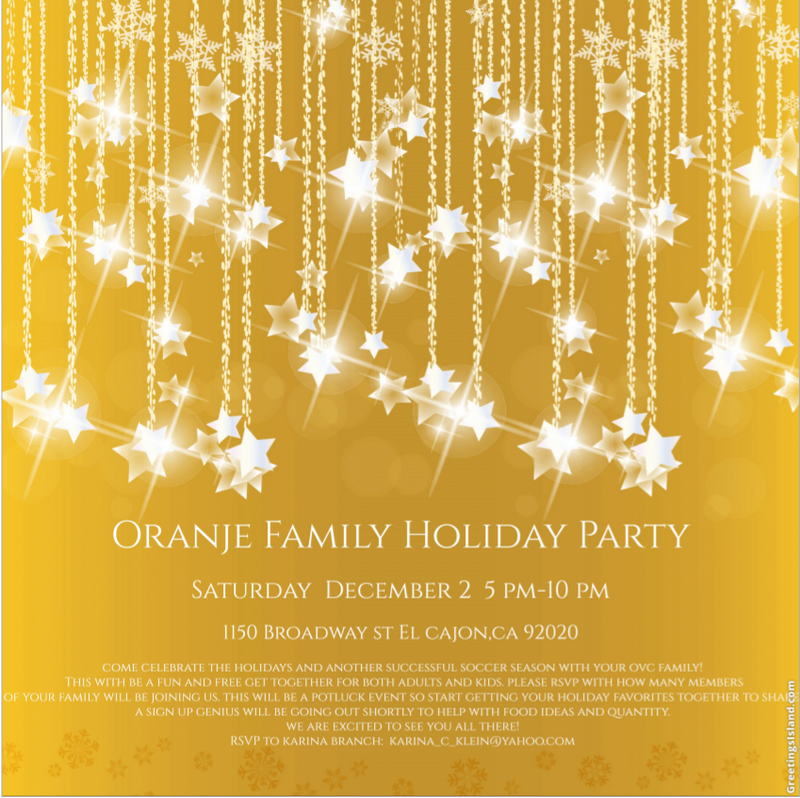 Come celebrate the holidays and another successful soccer season with your OVC family! This will be a fun and free get together for both adults and kids. Please RSVP with how many members of your family will be joining us. This will be a potluck event so start getting your holiday favorites together to share. A sign up genius will be going out shortly to help with food ideas and quantity. We are excited to see you all there!